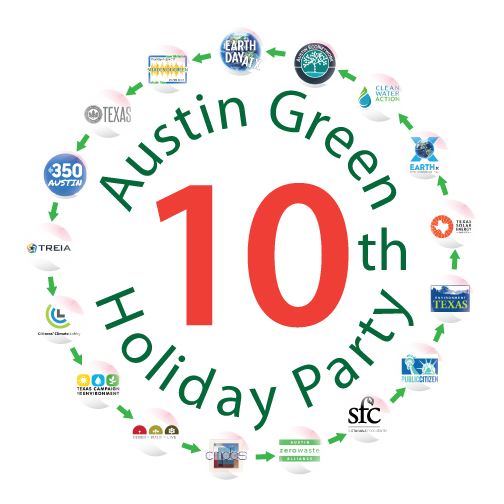 Join us for the Austin green mixer of the year, our 10th, can you believe it? Hosted this year by 18 great organizations, this event is a fun place for area environmentalists to come together, celebrate, scheme and prepare for the new year. Magical music by Seu Jacinto, a group introducing and developing traditional Northeastern Brazilian culture to Central Texas. Seu Jacinto pays homage to the masters of the Brazilian folk musical traditions of forró, coco, cavalo marinho, and many other Northeast Brazilian rhythms. At the nexus of the environmental and food movements, the Barr Mansion offers an unforgettable experience while demonstrating what it looks like to host a luxurious sustainable event. Enjoy a beautiful buffet featuring a variety of their seasonal, all organic favorites. It's been a crazy year so let's "regroup", have some fun and get ourselves ready for the good fight in 2018. We look forward to seeing you there!